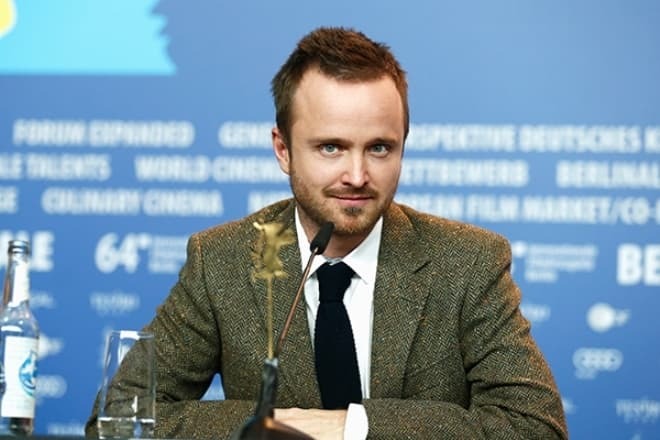 Aaron Paul is an American actor who gained his popularity for the role of Jesse Pinkman in the series Breaking Bad. 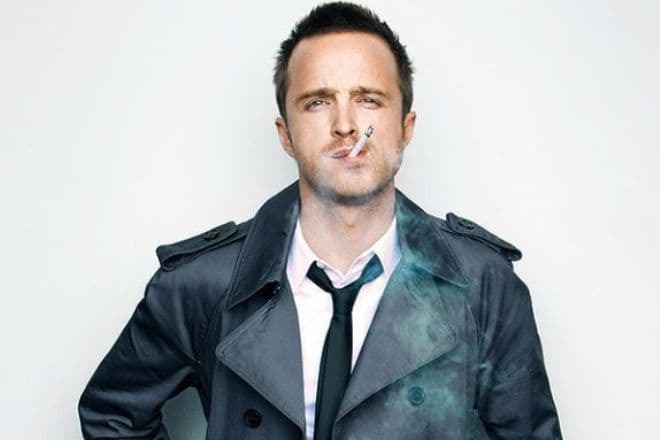 Aaron Paul Sturtevant was born on August 27, 1979, in Emmett. He was the fifth child in the family of Darla and Robert Sturtevant. The father was a Baptist priest. Since his childhood, Aaron took part in performances during church holidays. The boy went to the Centennial High School in Boise; by the eighth grade, he decided to become an actor. To come closer to his dream, Aaron Paul joined a drama club and never missed a school play. At that period, he also tried himself as a local radio host. The young man completed his education as an external student: he graduated a year earlier than expected. In 1996, the future star moved to Los Angeles and took part in a talent competition. After the victory, he signed his first contract. For the next several years, Aaron Paul participated in diverse TV projects from Corn Pops ads to the music video of the group Korn. In 1998, Aaron debuted in the movie Losers. The next year brought the role in Locust Valley. The popular youth TV series Beverly Hills, 90210 and Melrose Place were successful and helped develop the American artist’s career. Later on, Aaron Paul had the chance to gain the roles in the famous American series: Zipper in Suddenly Susan, a student in 3rd Rock from the Sun, and Marcus Denton in NYPD Blue. In addition, the actor appeared in episodes of ER and The X-Files. In the early 2000s, Aaron worked on several movies: K-PAX (2001), National Lampoon's Van Wilder (2002), Perfect Opposites (2004), and Bad Girls from Valley High (2005). Still, TV series remained his specialty. In 2006, the actor played in the movie Mission: Impossible III starring Tom Cruise. However, it was the lead role in the series Breaking Bad that turned out to be a breakthrough. The five seasons of the series came out in 2008-2013. This work made the actor popular. 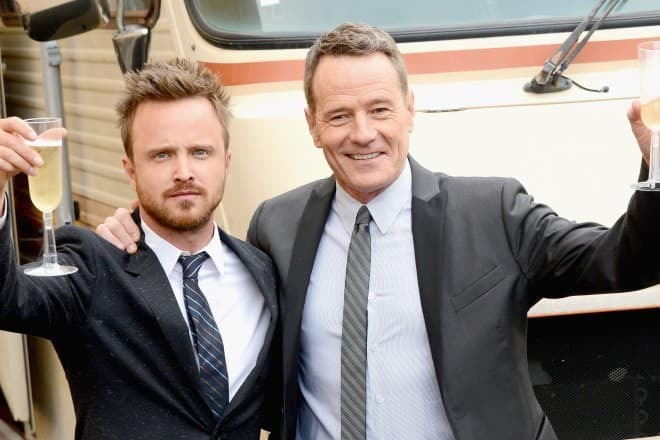 Breaking Bad is often called Aaron Paul’s and Bryan Cranston’s (Walter White) shining moment. 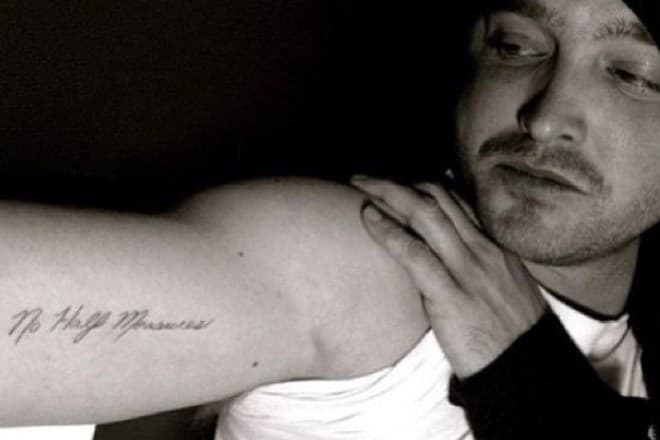 Both actors made tattoos to celebrate the finish of the series shooting. 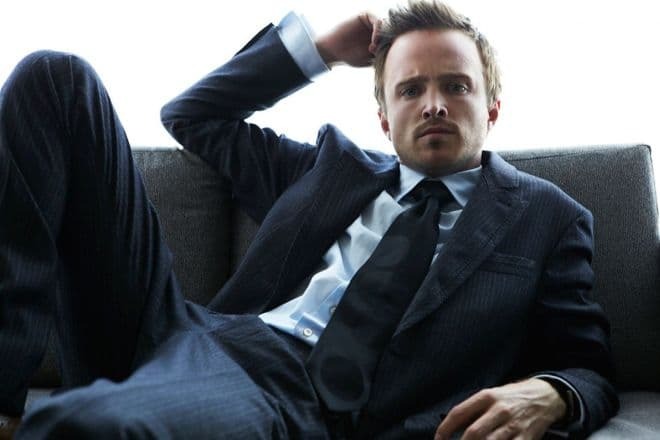 In one of his interviews, the actor mentioned he missed his character in Breaking Bad. Jesse helped him comprehend the nature of evil shaping. “I wanted to try and bring as much honesty to this character as I could, and I saw a darker side to people that I've never witnessed before,” the actor told journalists. 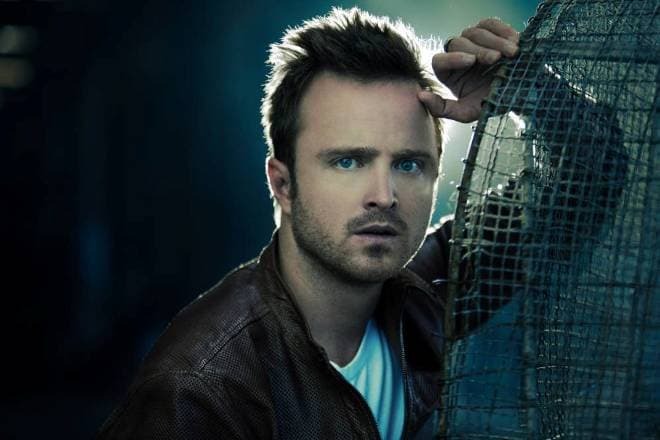 Working on Breaking Bad, Aaron Paul continued to participate in other projects. In 2009, the thriller The Last House on the Left was released. The roles in A Long Way Down with Pierce Brosnan and Grounded with Jeff Daniels were also significant. In 2014, the movie Need for Speed was presented; the British actress Imogen Poots became the actor’s stage partner. The same year, Aaron received one of the main roles in Exodus: Gods and Kings. 2015 was marked with the movie The 9th Life of Louis Drax. It is the story of a nine-year-old boy who falls into a coma after an accident. Aaron played Peter Drax. Overall, there are more than 40 projects in the actor’s filmography; he continues to work on various movies and series. Although Aaron cannot boast peculiar looks, the man is popular among famous movie stars. In 2001, the actor was dating the actress Samaire Armstrong. In 2009, he began the relationship with an actress and singer Jessica Lowndes. The actor met his future wife, Lauren Parsekian, at a music festival. The next year, the young people met again at the same event. Eventually, they started seeing each other. On January 1, 2012, the actor proposed to his beloved one when the couple was on vacation in Paris. The pre-marriage celebration was held in Las Vegas; the wedding ceremony took place in May 2013 in Malibu. Nowadays, the happy spouses live in Santa Monica, California. In 2016, there was the information that Aaron Paul would appear in the fantastic thriller Android. The director Niall Johnson, the creator of the mystic movie White Noise, cooperated with Picture Films and Infinite Studios Singapore. The movie tells the story of a man (Aaron Paul) who fulfills his old dream: to create androids who would be the exact copy of his deceased wife and son. His happiness turns out to be short-term: the robots will want the meaningful life, and the whole situation will be dangerous for the creator. The actress Olga Kurylenko starred in the movie. In 2016, Aaron Paul fought the Portuguese soccer player Cristiano Ronaldo at the PokerStars duel; it was an advertising and promotion campaign of the app PokerStars Duel where everybody could play Spin and Go for free. A series of short videos where different stars played against each other was presented. Ronaldo won the match. People were actively discussing the meeting on Instagram and other social networks. In March 2017, an interesting Twitter discussion took place. Internet users claimed Elon Musk, the CEO of Tesla Motors and SpaceX founder, was an alien. People said extraterrestrials who had been looking for other lifeforms sent Elon to our planet to test the waters on the Earth. Aaron Paul joined the discussion. Musk replied to Paul he used to be an alien and, according to the businessman, it was useful.